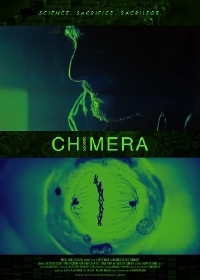 While the short description of writer/director Maurice Haeems' feature film debut Chimera Strain didn't catch my attention, the fact that the movie stars "The 100" star Henry Ian Cusick did pique my interest. Cusick stars as Quint, a brilliant - is there any other movie type? - scientist who has frozen his sick children while attempting to find a cure for their deadly genetic disease. Oh the drama! It's a familiar plotline and one that has been explored in other projects to various degrees of success. While it remains to be seen where on the quality scale Chimera Strain will fall, I must admit that Cusick's involvement is, at this point, pretty much the only reason to see the movie. Hopefully the project will fall on the better side of the scale. Chimera Strain will open theatrically and be available on VOD March 15.